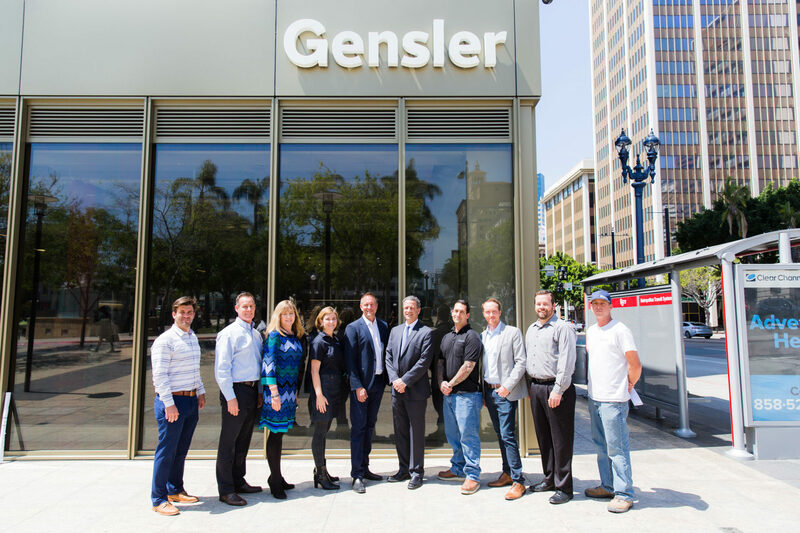 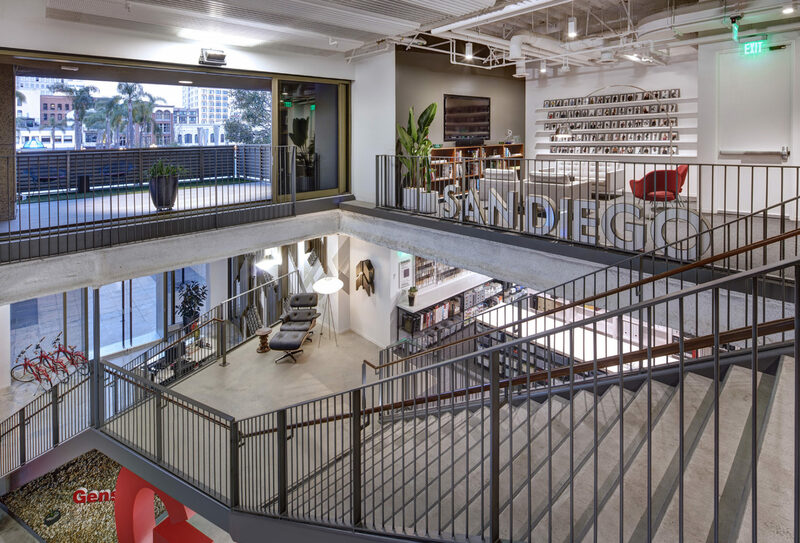 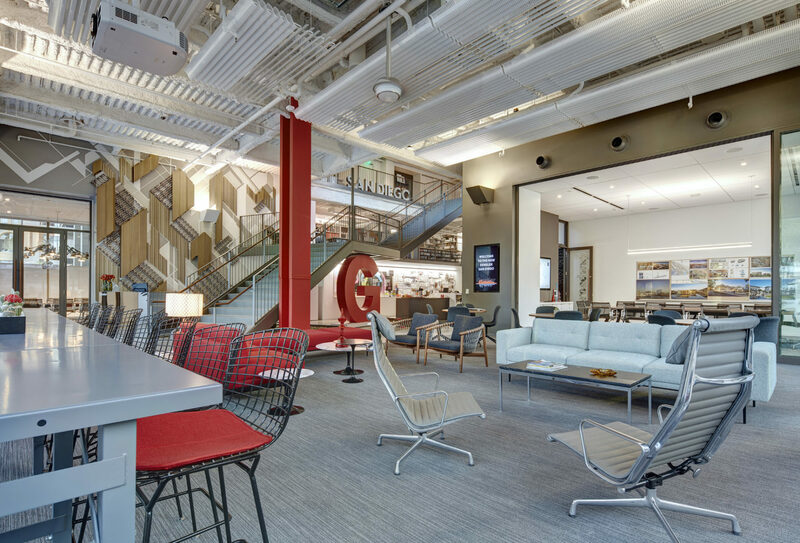 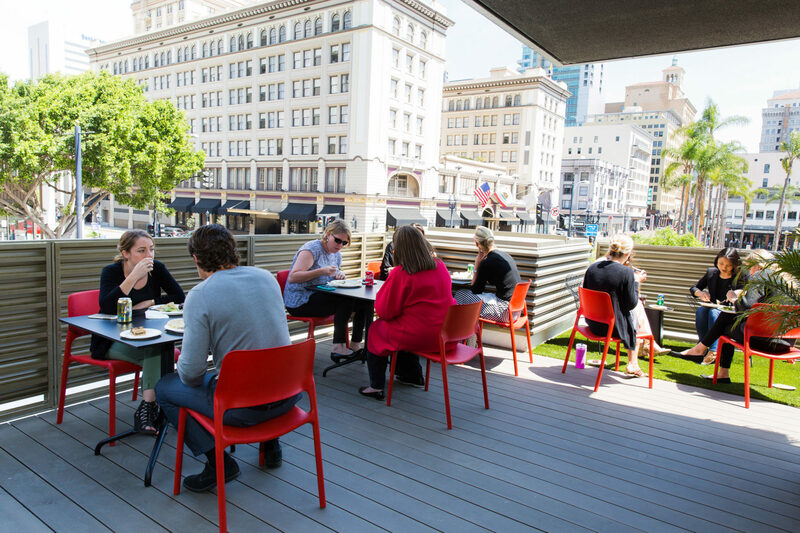 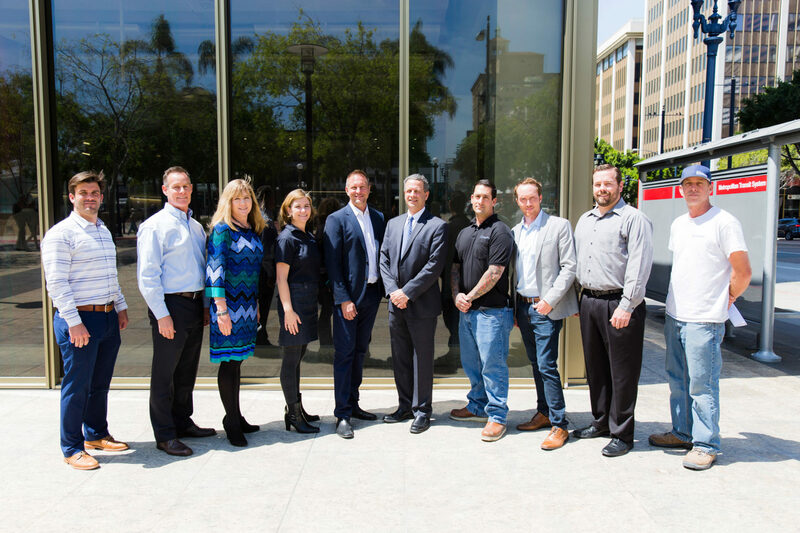 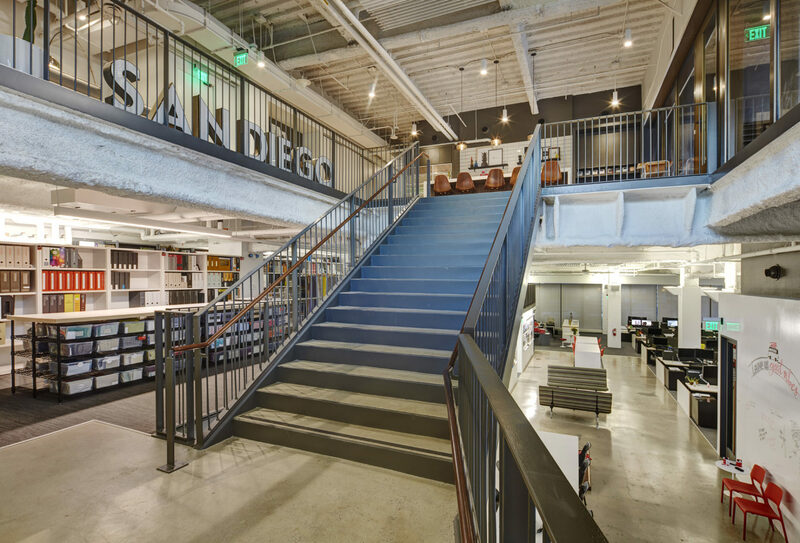 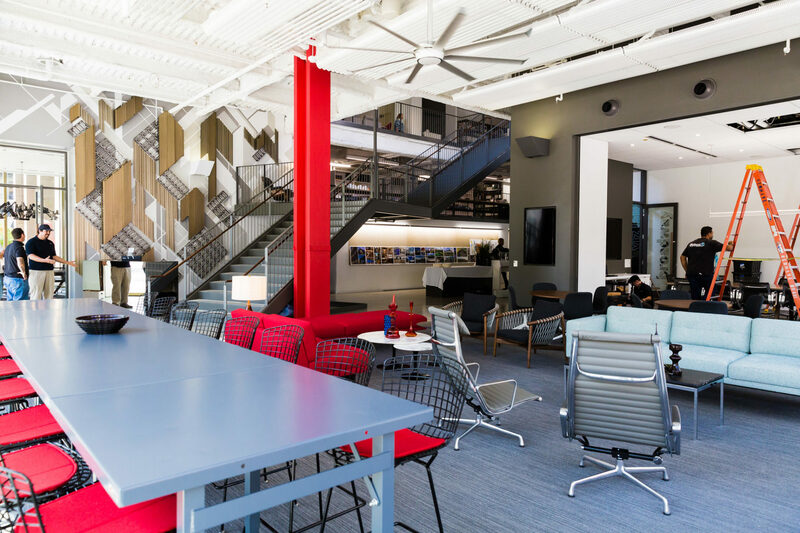 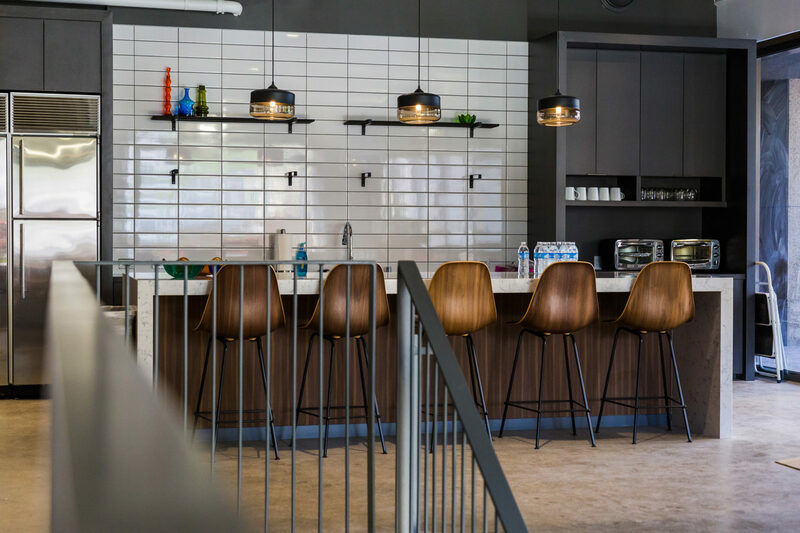 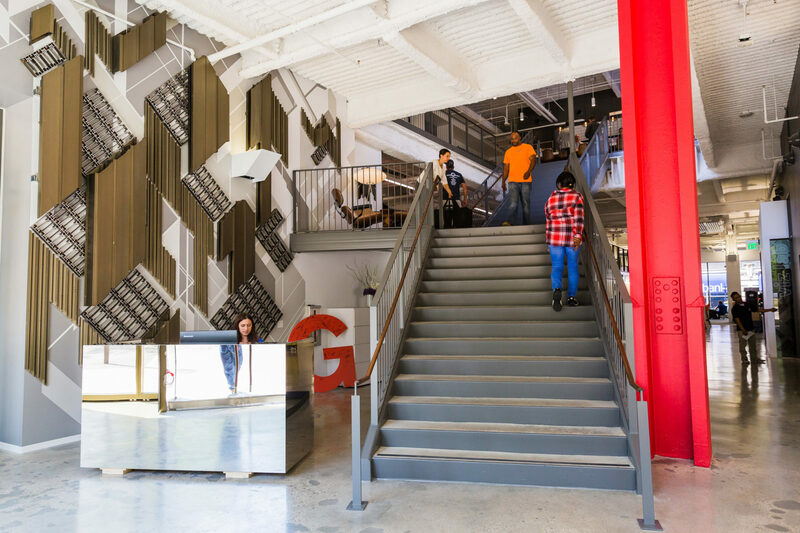 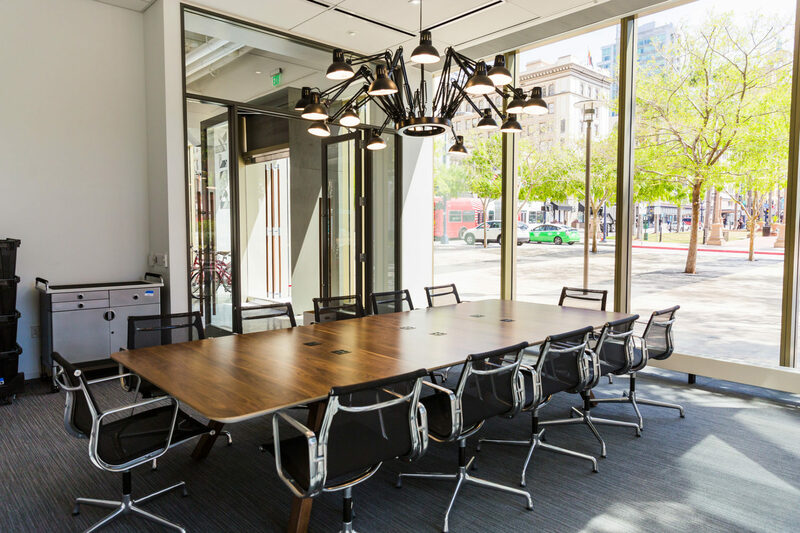 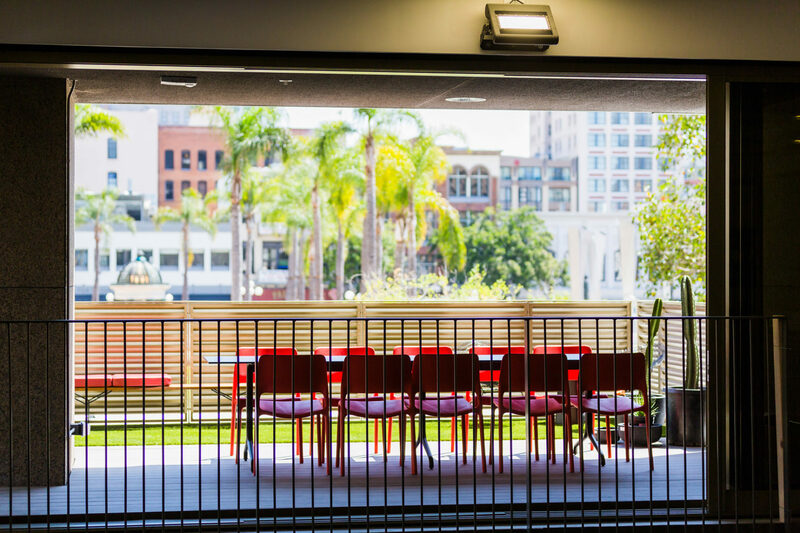 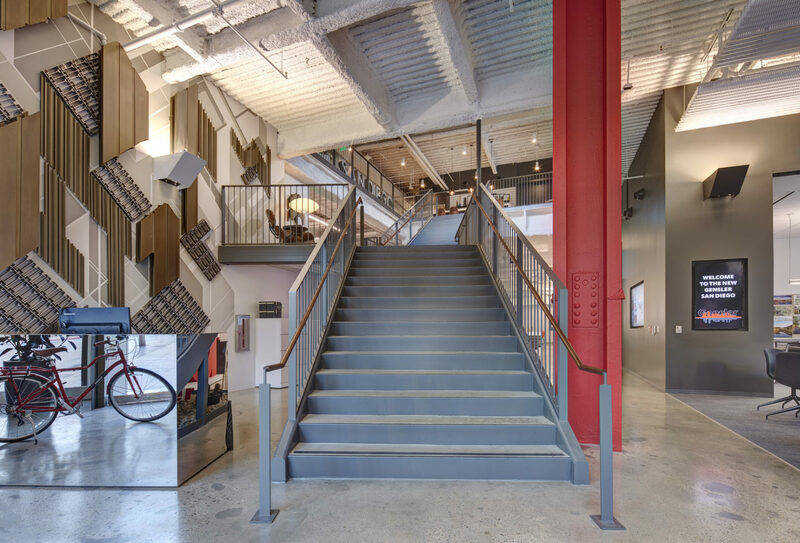 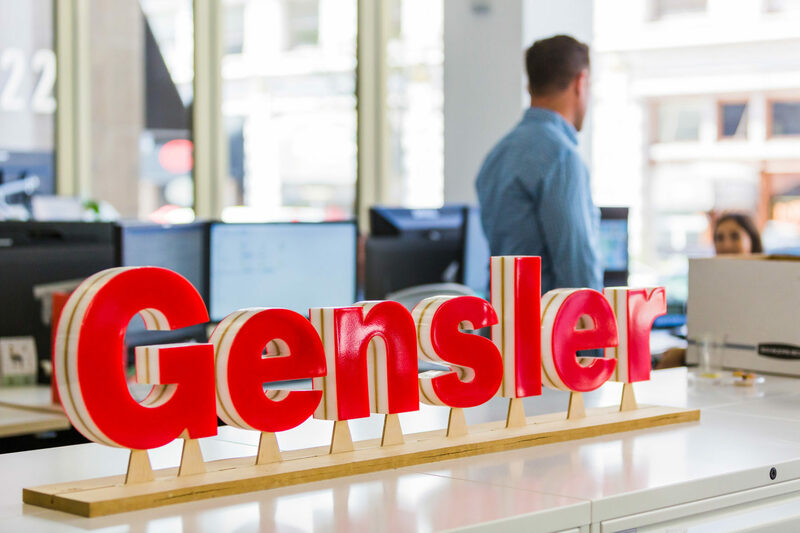 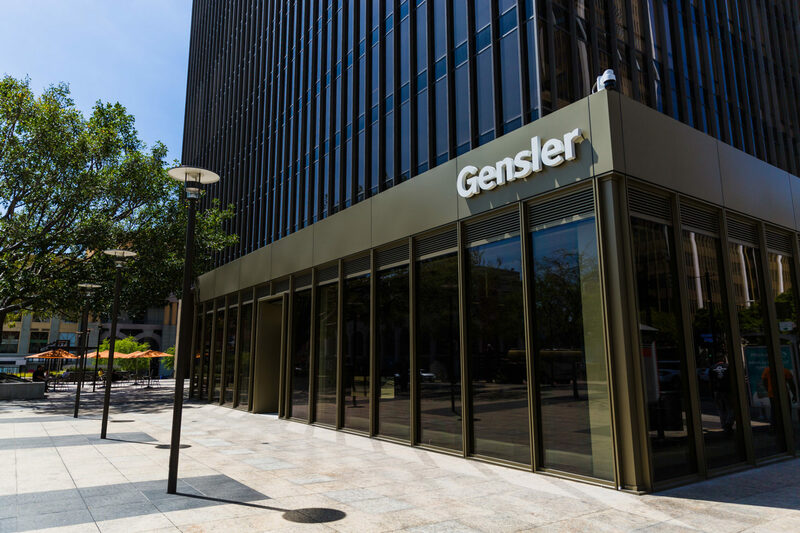 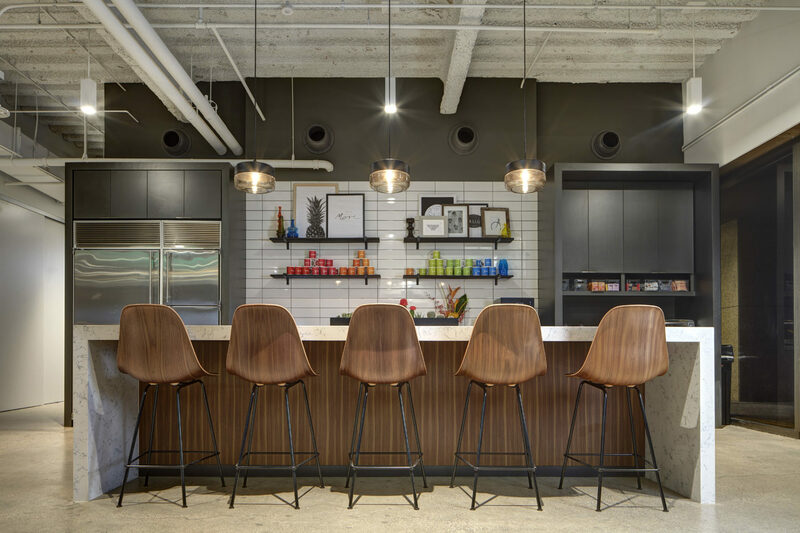 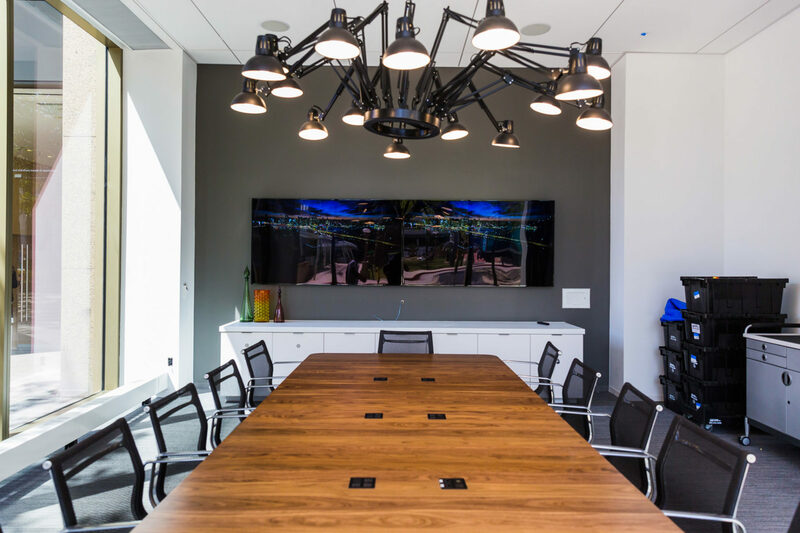 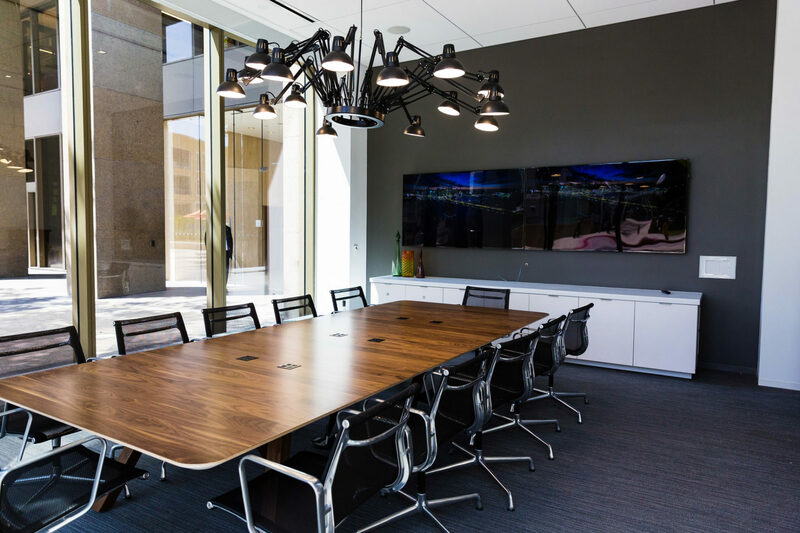 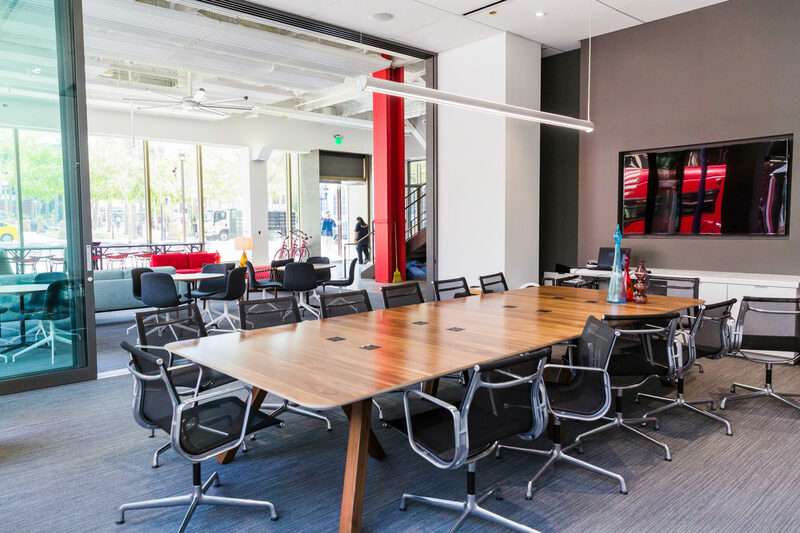 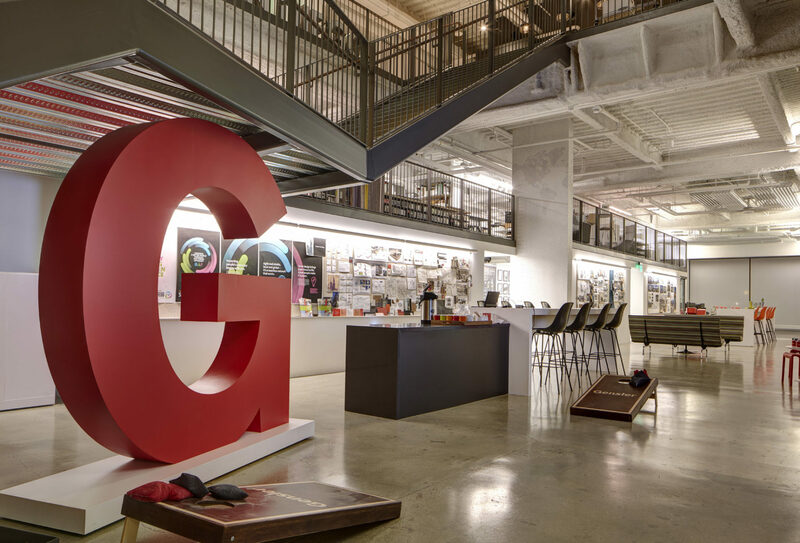 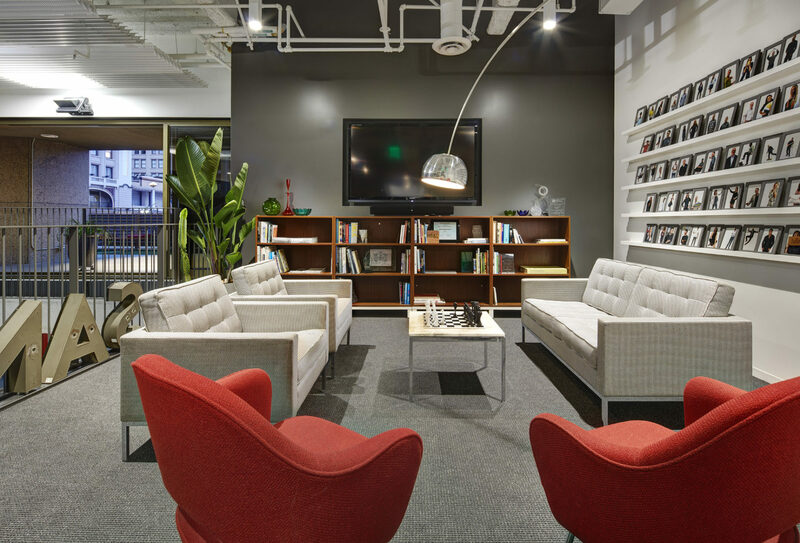 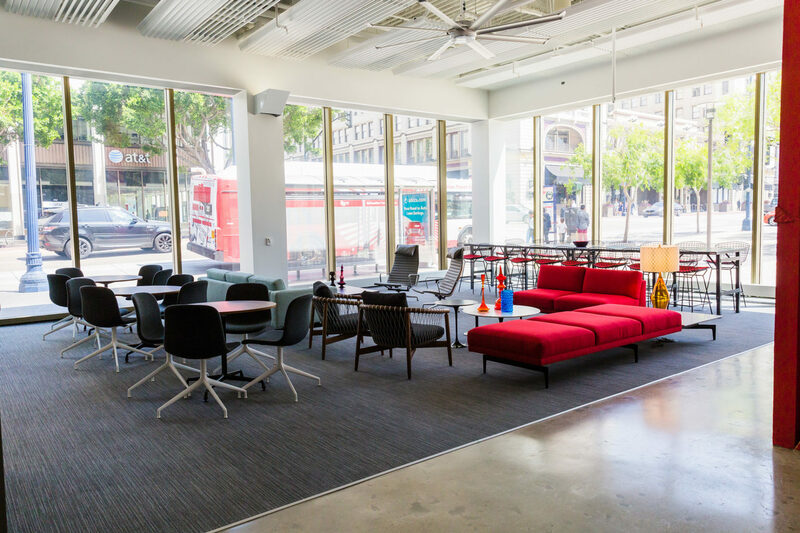 Dempsey Construction was hired on a “best fit” basis by Gensler to build out their new San Diego Corporate Headquarters located in Downtown San Diego. 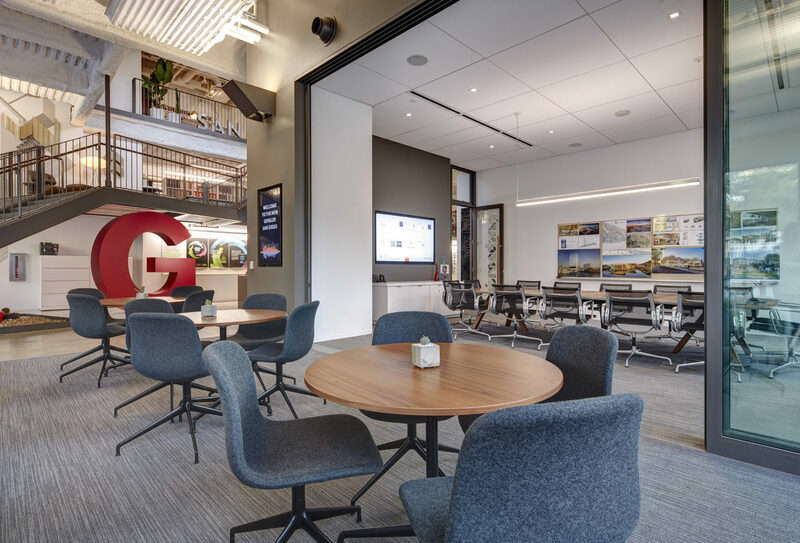 The identified location was the former NBC Studios space located in The Irvine Company’s 22-story, Class A, office tower at 225 Broadway, the Keystone of Horton Plaza. 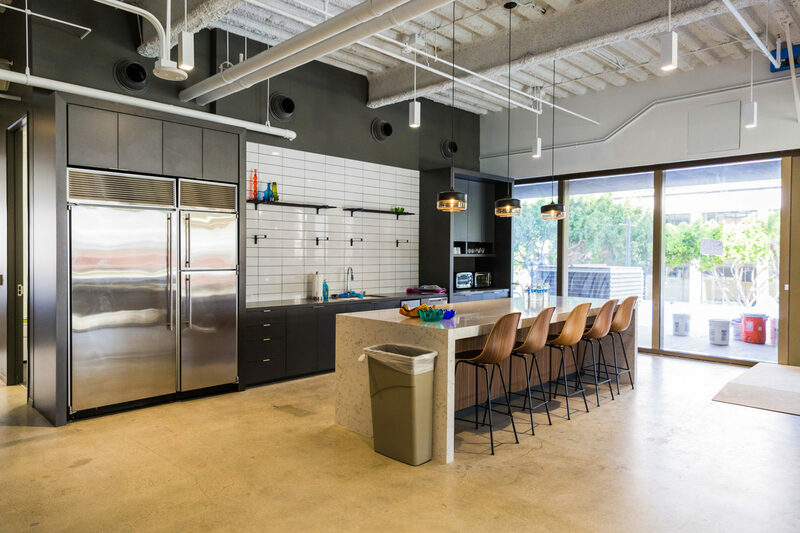 The project consisted of the complete demolition, heavy shell modifications, and tenant improvement of the first and second floors, totaling 21,616 Square Feet. 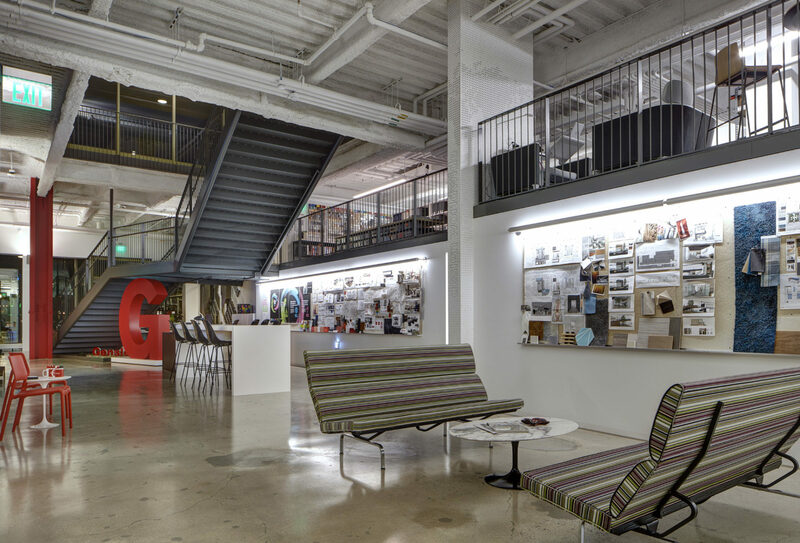 Heavy demolition and infrastructure upgrades were required and performed after hours including opening up a hole in the second floor to internally connect the 2 levels as well as installing new sewer infrastructure, electrical feeds, and mechanical piping originating in the subterranean garage. 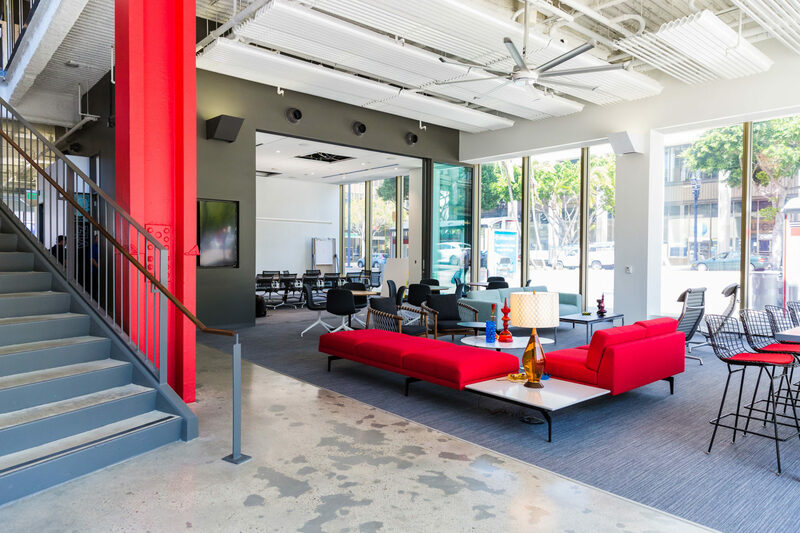 New improvements to the space included replacing the entire ground floor storefront glazing system (requiring lane closures on Broadway), custom exposed floating steel and concrete staircase to 2nd level, 2nd level roof-top deck (requiring structural modifications to accommodate the new structure), La Cantina and Visions Systems folding doors throughout, Class A office improvements including private offices, conference rooms, open work space, break lounge, kitchen, and collaborative work areas. 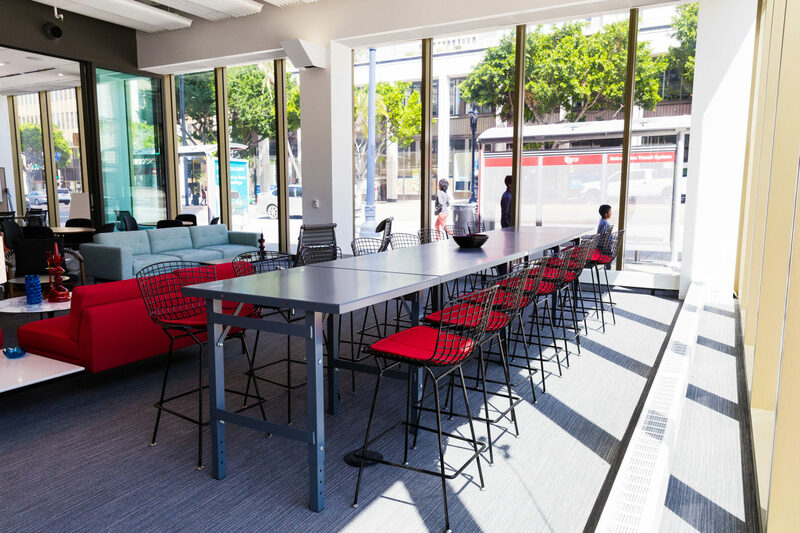 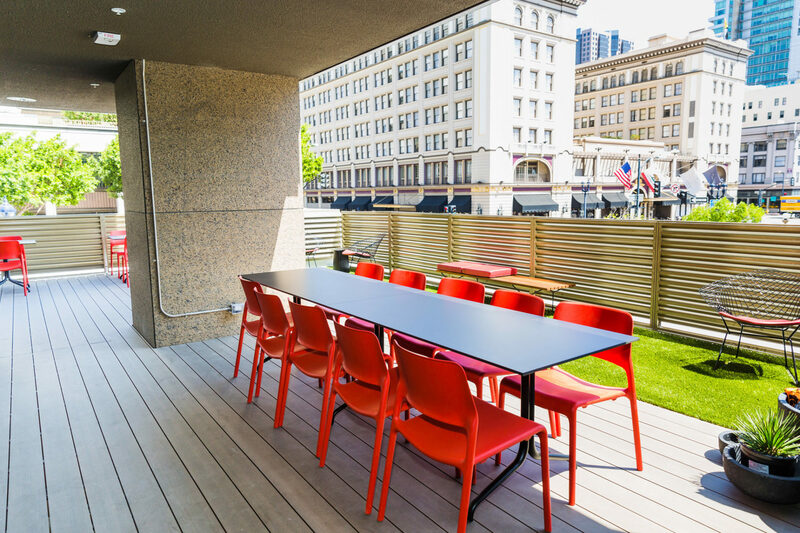 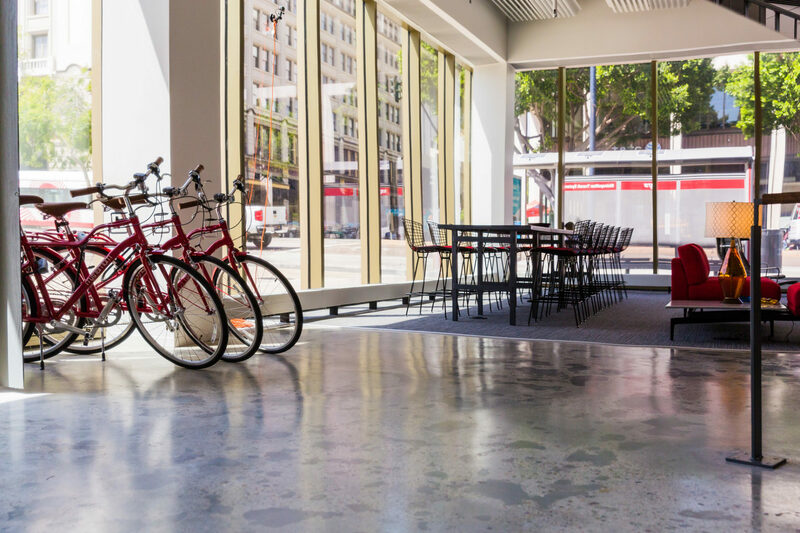 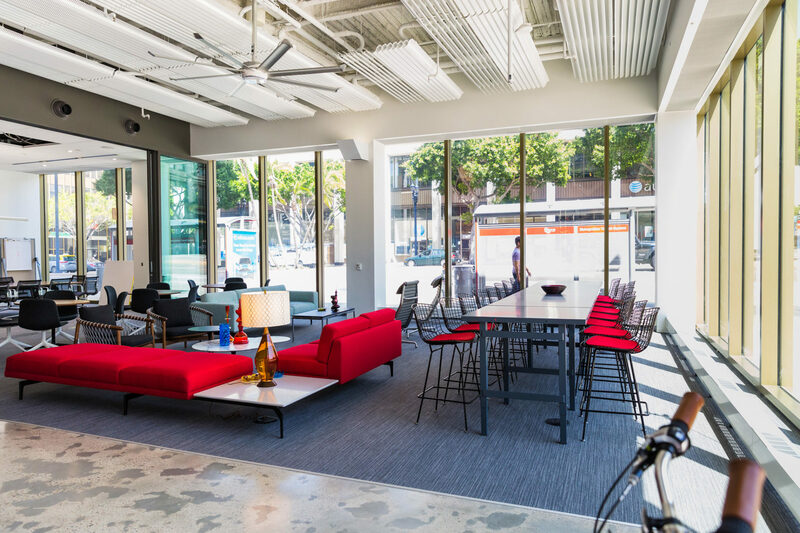 The newly improved office space features a Passive Ventilation System which includes a louvered storefront glass system, rooftop penthouse ventilators and operable exterior glass doors which facilitates the movement outside air through the interior of the space. 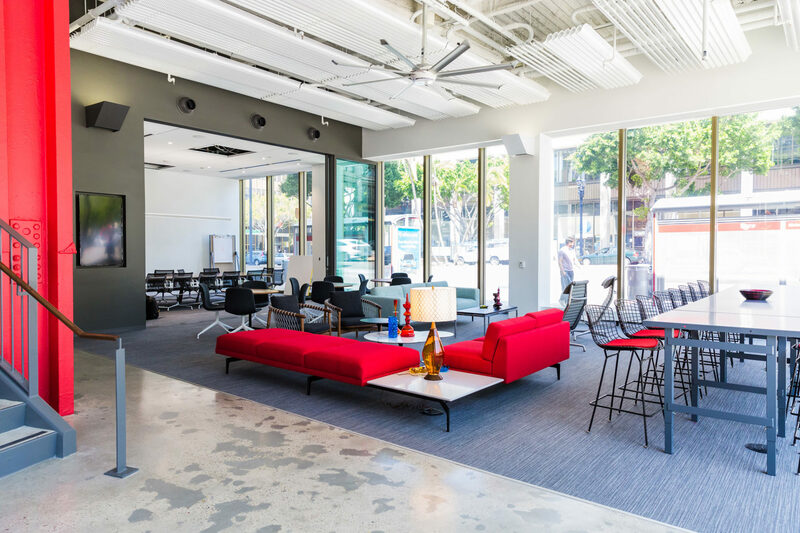 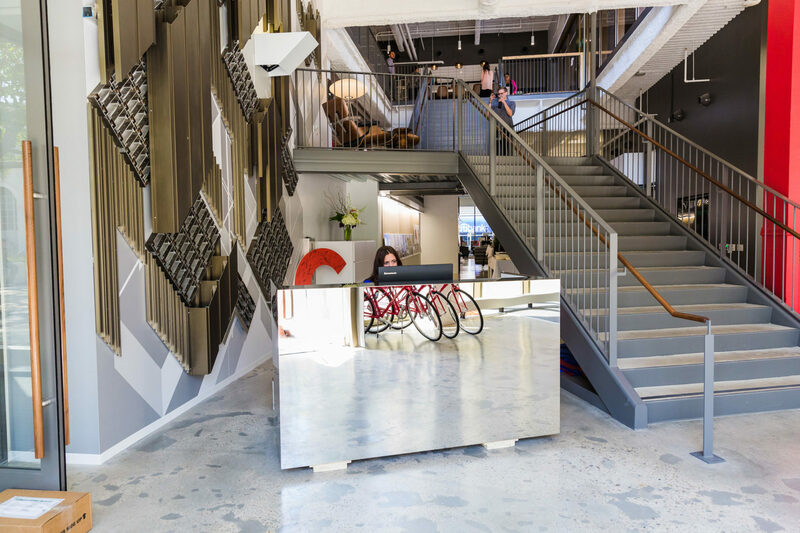 In addition, a Chilled Beam Cooling System inclusive of active and passive chilled sails and beams, as well as a radiant heating system circulated by oversized ceiling fans. 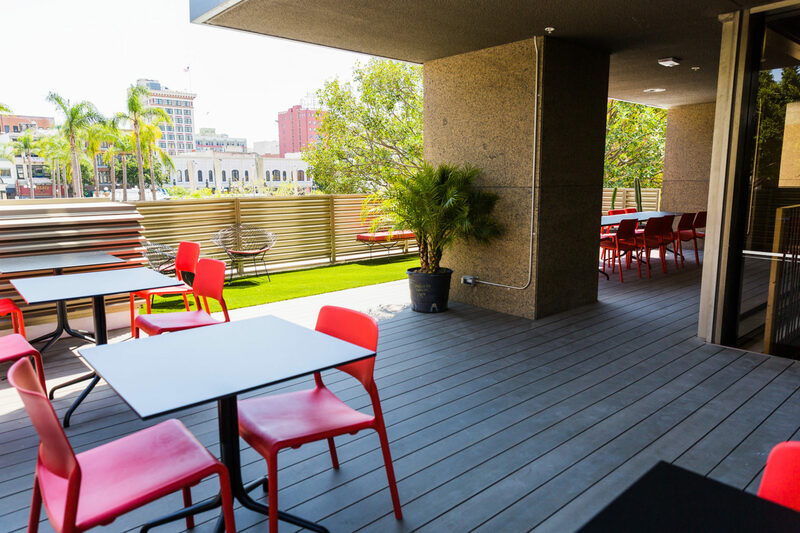 Construction took place while the 22-story tower remained fully operational. 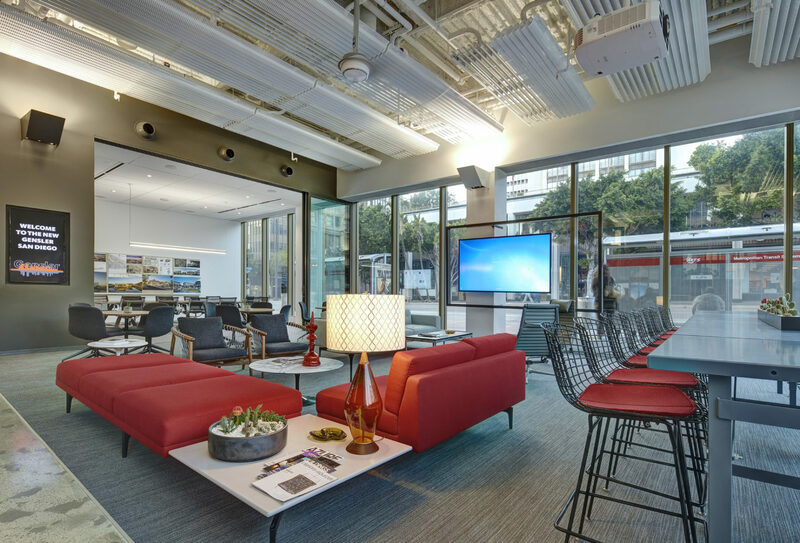 Careful planning and coordination took place to mitigate the impact of the project on existing tenants and visitors. 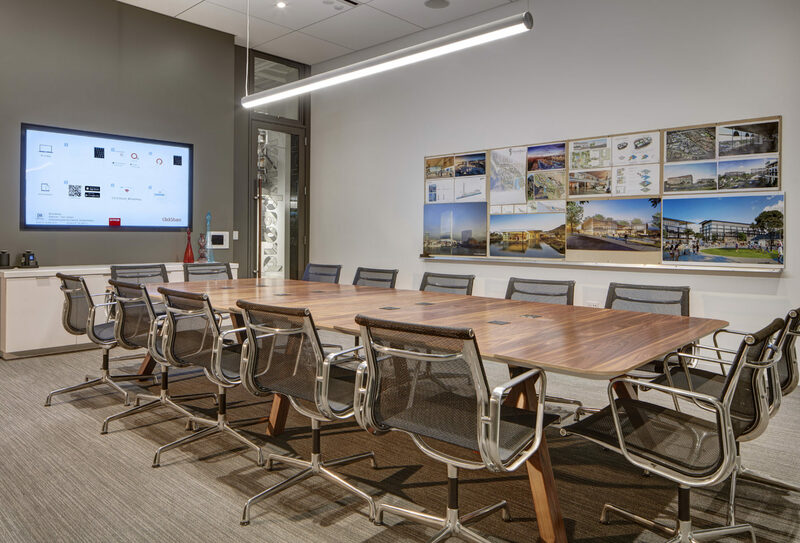 The project has received LEED Platinum and WELL GOLD certifications.